All About Facial Rejuvenation's Executive Advisor, Yael Halaas, MD, FACS, has maintained a leading private cosmetic surgery practice in New York City since 2002. Board certified by the American Board of Otolaryngology and the American Board of Facial Plastic & Reconstructive Surgery, she is licensed to practice in both New York and New Jersey. 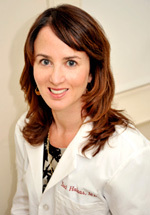 In addition to her practice, Dr. Halaas is an Assistant Clinical Professor in the Department of Otolaryngology at Albert Einstein College of Medicine in New York. She is also the Regional Director of The R.O.S.E. Fund, a non-profit organization that provides free reconstructive surgery for victims of domestic violence. Dr. Halaas graduated from Columbia College in New York in 1992. She obtained her MD in 1996 from Cornell University Medical College, also in New York. In addition to Dr. Halaas, All About Facial Rejuvenation is staffed by an editorial team with years of experience writing on the subject of plastic surgery. Our writers and editors have an established track record of presenting accurate, cutting-edge medical information in a way that makes it easy for consumers to comprehend. Our belief in our mission is rooted in our commitment to our readers. In summary, we can confidently say we're giving you the highest-quality and most trustworthy facial plastic surgery content on the Web.